Quickly now… If you multiply 633 by 11, what’s the answer? 633 x 10, plus 633 x 1, or 6,330 plus 633, or 6,963, which is the answer (or, in terms used by math teachers, the “product”). There is another way to solve the problem, a faster way that assures fewer computational errors, and does not involve any sort of digital or mechanical device. It does, however, involve a simple rule and a different way to write the problem down. The rule is: “write down the number, add the neighbor.” The asterisk just above each number is there only to help you to focus. If you prefer, think of it as a small arrow. Try multiplying 942 x 11 and you’ll quickly get the hang of it. Do it once more, this time with a much larger number: 8,562,320 x 11. It goes quickly, as you’ll see. 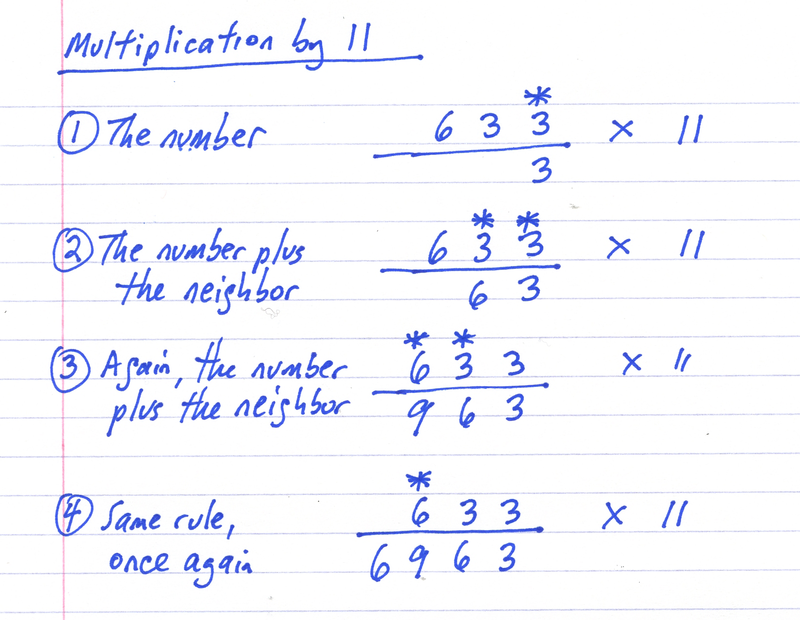 Multiplying by 12 is just as easy, but the rule changes to: “double the number, add the neighbor.” Here, my explanation includes specific numbers. 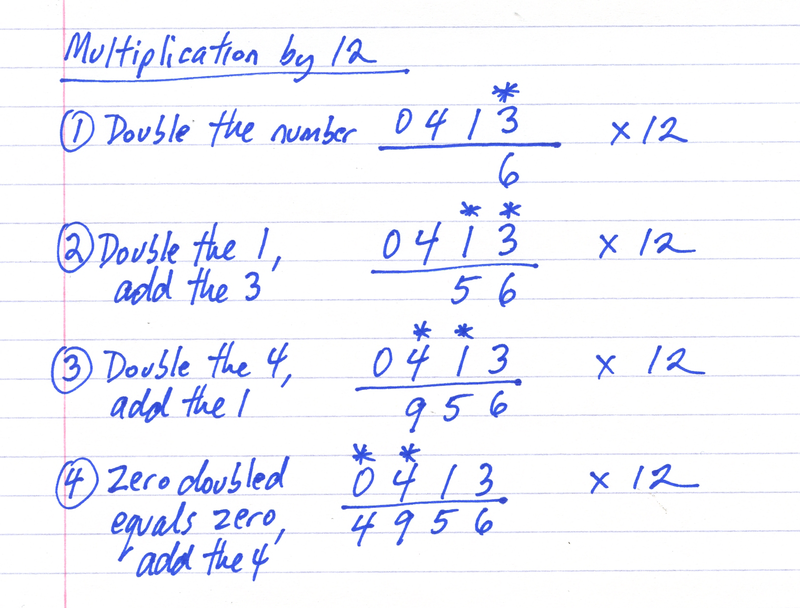 In fact, there is a similar rule for multiplication by any number (1-12). And there are rules for quickly adding long, complicated columns of numbers, as there are for division, square roots and more. These rules were developed by a man facing his own demise in the Nazi camps during the Second World War. Danger was nothing new to him…this is the story and the enduring legacy of Jakow Trachtenberg, who first escaped the wrath of the Communists as he escaped his native Russia, then became a leading academic voice for world peace. His book, Das Friedensministerium (The Ministry of Peace), was read by FDR and other world leaders. His profile was high; capture was inevitable. He made it out of Austria, got caught in Yugoslavia, and was sentenced to death at a concentration camp. To maintain his sanity, Trachtenberg developed a new system for mathematical calculation. Paper was scarce, so he used it mostly for proofs. The rest, he kept in his head. Madame Trachtenberg stayed nearby, in safety. She bribed officials, pulled strings, and managed to get Jakow moved to Dresden, which was a mess, allowing him to escape. Then, he was caught again, and was moved to Trieste. More bribes and coercion from Madame. He escaped. The couple maneuvered into a more normal existence beginning at refugee camp in Switzerland. By 1950, they were running the Mathematical Institute in Zurich, teaching young students a new way to think about numbers. A system without multiplication tables. A system based upon logic. A system that somehow survived. A system that, against all odds, made it into my elementary classroom. One classroom in the New York City school district. For one year. The parents were certain that the teacher was making a terrible mistake, that the people in my class, myself included, would never be able to do math in the conventional way again. Of course, we learned a lot more than an alternative from of arithmetic. 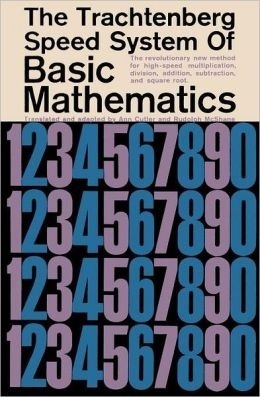 And now, after decades out of print, in an era when arithmetic hardly matters because of calculators and computers, the original book is back in print. The brilliance of system remains awesome, and the book is worth reading just to understand how Trachtenberg conceived an entirely fresh approach under the most extraordinary circumstances.